Hip Highlights Tour Location. Book Hip Highlights Tour Today with Hip Marrakech - specialists in English Speaking Accommodation in Marrakesh, Morocco. "Our unique Hip Highlights Tour offers adventurous travellers the opportunity to discover Morocco beyond Marrakech." Our unique Hip Highlights Tour offers adventurous travellers the opportunity to discover Morocco beyond Marrakech. This is an excellent opportunity to witness the country’s diverse landscape, colourful culture and vibrant history. Along the Tour, you will explore the Hassan II Mosque of Casablanca; the imperial city of Rabat; the ancient wonder of Meknes; the Roman Ruins of Volubilis; the cultural delights of Fez; the photogenic Chefchaouen; the natural wonder of the Cascades Ouzoud and more. 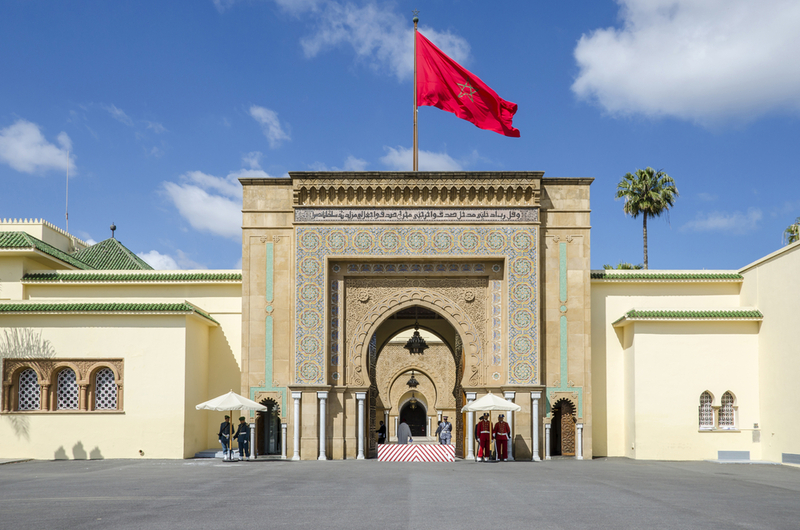 By combining our expert local knowledge and experience organising tours and trips across North Africa, our dedicated team has personally curated a 7-day tour of Morocco. This tour has been curated so that it will give you an all-encompassing insight into the country’s identity. It is unique to Hip and will not be found anywhere else! Price: from £ 595 per person. Upgrade to the Hotel and Luxury Spa at Bin El Oudane for only £100 per person. Bright and early at 9.00am, our driver will meet you at a dedicated pick up point close to your accommodation in the heart of Marrakech. 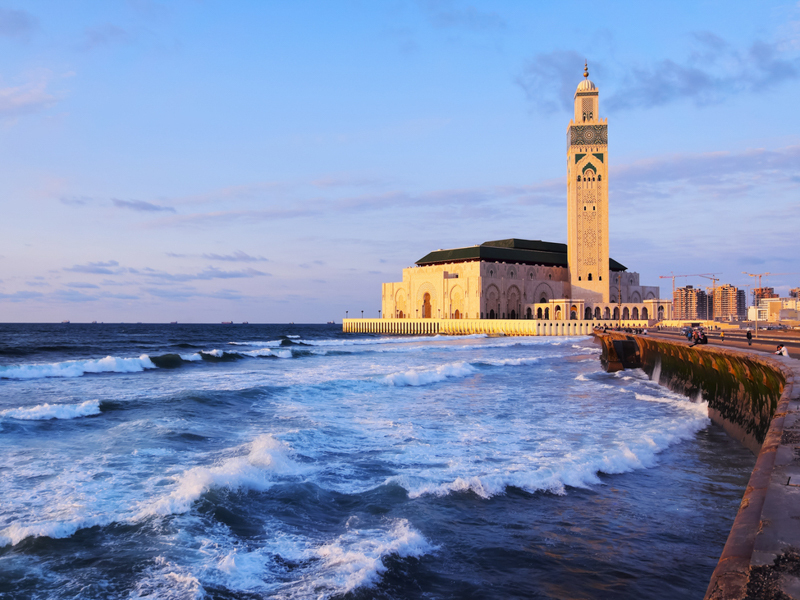 The Hip Highlights Tour begins with a pleasant journey to Casablanca to visit the majestic Hassan II Mosque, the largest mosque in Morocco and North Africa. Unlike the majority of Mosques, which are closed off to people who are not of the Islamic faith, the Hassan II Mosque differs in that it allows visitors of all faiths to come in and view the inside of the building; and how thankful and lucky we are! As designed by French Architect Michel Pinseau for Hassan II, the king of Morocco between 1961-1999, the Hassan II Mosque stands on a prominent piece of land, majestically rising out of the Atlantic sea. Inspired by a verse in the Qu’ran which states god’s throne should be built on water, sections of the mosque’s floor has a glass floor so worshippers can kneel over the water. The hour-long tour of the Hassan II Mosque not only offers the opportunity to see one of the great architectural structures of Modern Islam, but it is also an opportunity to learn more about the religion which is so significant to Moroccan culture and society. 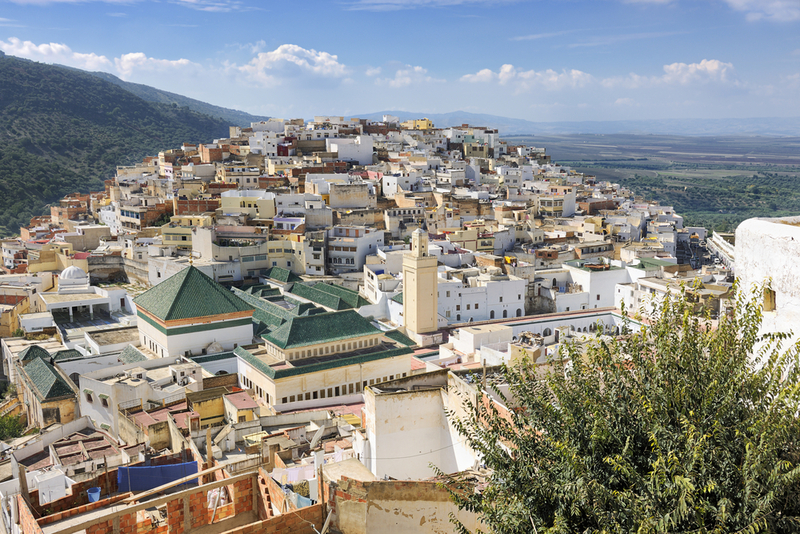 Depart from Rabat, visiting Meknes, Moulay Idriss, Volubilis, before continuing on to Fez for your overnight stay. Depart from Fez, heading towards the Rif Mountains, visiting Ouezzanne and Chefchauen. Overnight stay in Chefchauen. As you continue to ascend further up the Riff Mountains, you will notice how fertile and green the landscape is in comparison to the dusty, red Atlas range. This brings a welcome stillness to your surroundings, allowing for respite from the Moroccan sun. Hidden amongst the lush greens of the Rif range is the dazzling blue of Chefchauen. This blue-rinsed mountain village regularly makes it into the ‘things to see before you die’ and ‘top places to visit in the world’ lists, and it is easy to see why. To simply say, almost every building, every wall, and a lot of the floors are painted in a bright and brilliant ultramarine blue does not do Chefchauen justice. The town is very much a “you must see it to believe it” location, just look at the photos we have included to the right for a taste of what to expect. Aside from loosing yourself among the photogenic buildings , we highly recommend you visit both the Plaza Uta el-Hammam with its unmistakable Kasbah and a leafy square designed by artist Joan Miró in the new city of Ave Hassan II. As Chefchauen is your home for two nights, you will have a lot of time to explore. Exploring Chefchauen and surrounding area. An extra night stay in Chefchauen. Chefchauen is a truly magical place, quite unlike anywhere else on earth. Indeed, it undoubtedly deserves time to explore, and our Hip Highlights Tour allows you to stay an extra day and night in this picturesque city to take in all it has to offer. 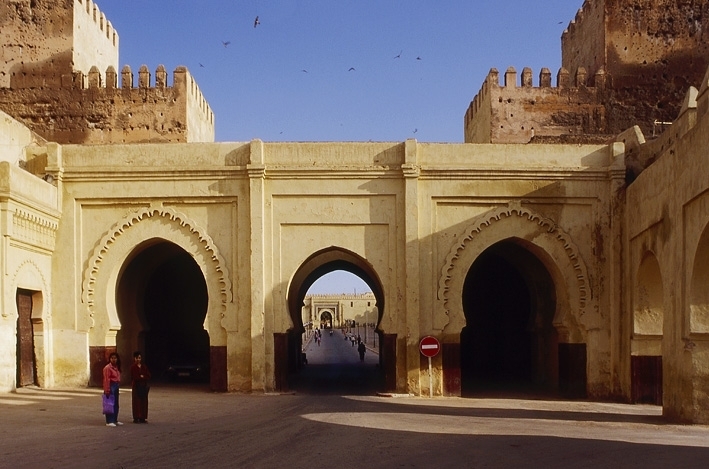 Return from Chefchauen to Fez for your overnight stay. After two wonderful nights in Chefchauen, it is time to leave the Rif Mountains and retrace your steps back to the imperial city of Fez. Just like Chefchauen, Fez definitely deserves an extra evening of exploration as there is so much to see and do. We strongly encourage you loose yourself in the medieval labyrinth of small, winding streets in the traditional Medina, Fez el Bali. The city is also host to some amazing restaurants for a more chilled, relaxed evening. Ask our experienced staff for recommendations when booking. From day six you will begin your journey back to Marrakech, but that is not to say that these last two days will pass uneventfully. Your route from Fez to the Atlas Mountains, your entrance to Marrakech, is an ancient trade route once used to transport gold, salt and slaves across North Africa. Traces of this industrious and prosperous past are easy to find in many small towns along the route, each with a vibrant and unique history. Two such examples are Bin El Oudane and Benni Mellal, which sit almost exactly between Fez and Marrakech. 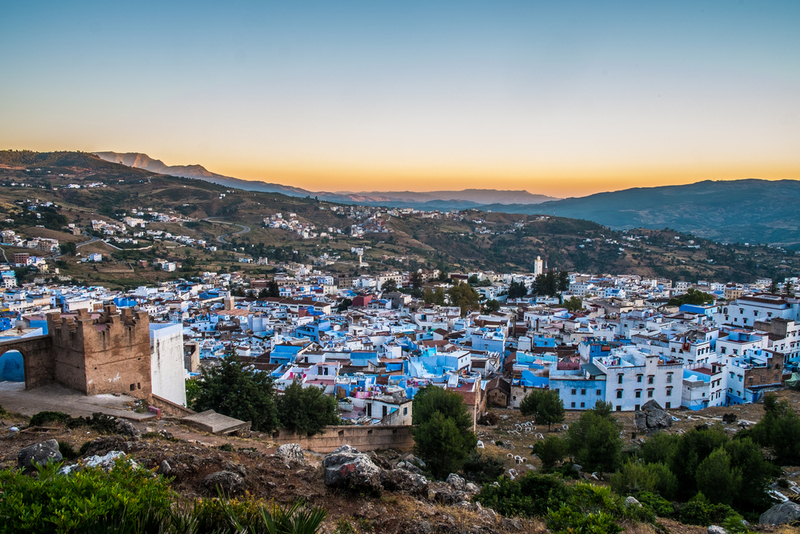 As traditional textile towns, famous across the region for their traditional hand-woven Berber rugs, both Bin El Oudane and Benni Mellal offer peaceful and tranquil surroundings and a chance to glimpse the authentic rural Berber lifestyle. This textile industry still forms the backbone of each community, however, today, it is supplemented by a significant man-made dam at Bin El Oudane, and a thriving vineyard and wine industry at Benni Mellal.